It feels good to be wearing skirts again. My legs need some fresh air and breathe in the spring time weather (definitely need some tan too though). 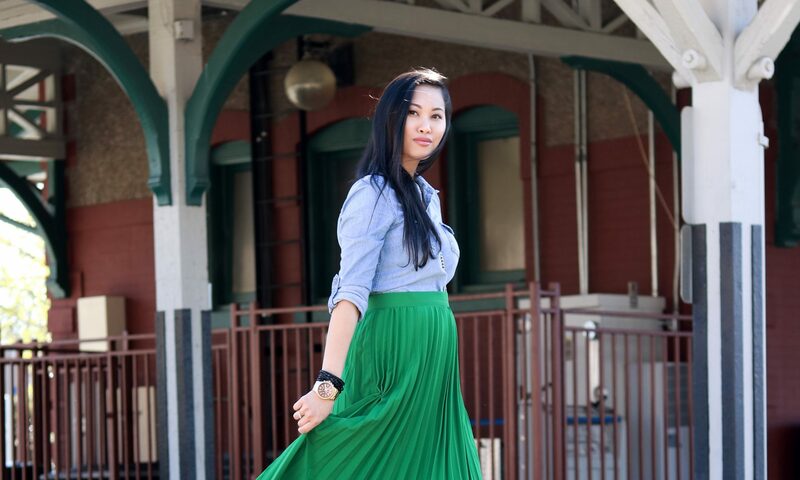 I am really into the soft pastel colors this season, and this skirt is perfect for that. I love the peplum details on the skirt too, making it a little bit fun and flirty. I even paired the outfit with matching baby pink shoes. Pastels are so girly and feminine and could also be statement pieces for your wardrobe. I would style this softer side of the color spectrum with more basic colors like whites, blacks and greys. Graphic tees and floral prints would be perfect too as long as you keep the rest of your outfit simple and minimal. Love that shade of pink!